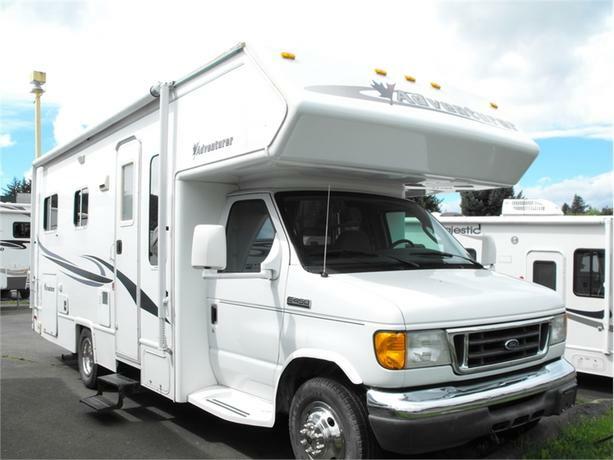 Here is a well maintained 24' Class C Motor Home. It includes awning, microwave, stainless steel wheels and air conditioning. Its the most popular floor plan with the set up rear bed. It sit on Ford's E-450 chassis and is diesel powered. 1-888-390-7780 Trade your RV, Car, Truck or Boat. We have competitive financing available. Price does not include documentation and taxes. We are always looking for used units for sale.